A new UNL Explorer has been developed and is provided at www.undl.org/unlexp/ and www.unl.undl.org/unlexp/ by the UNL Center. 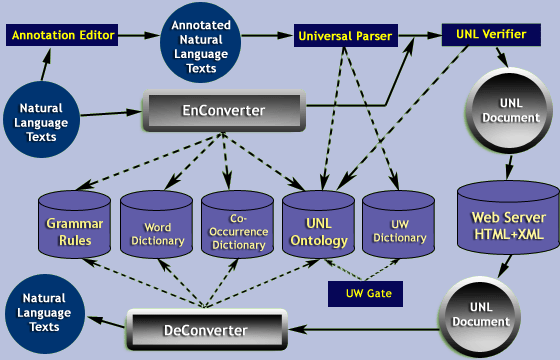 The UNL Explorer is a UNL-based Multilingual Intelligent Information and Knowledge Management System. The UNL Explorer provides users with an integrated environment that users can search for and edit knowledge and information based on UNL. 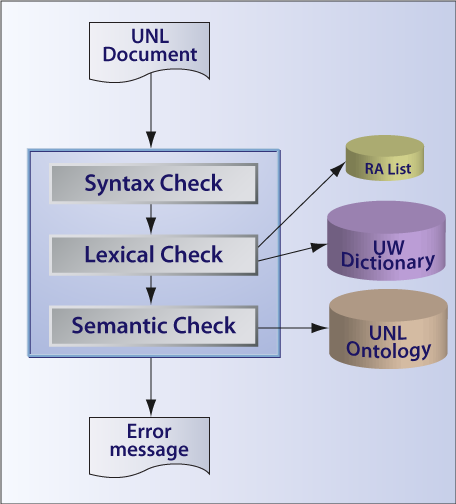 whether a relation between two UWs is true or not, what UWs can have a relation with another UW, or what relations are possible between two UWs can be verified based on the UNL Ontology. 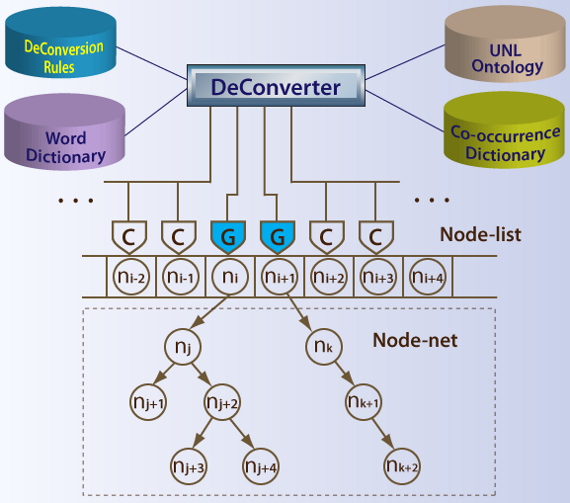 Content search is carried out based on UNL Expressions. every UW is given an intentional definition to specify its all the essential properties. 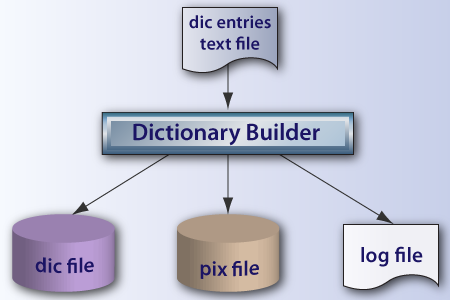 the definition is used in inference about all concepts it related. 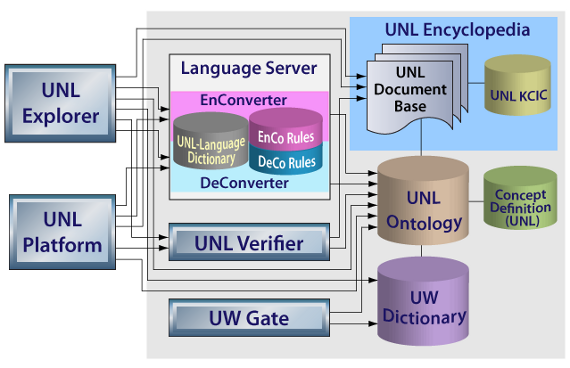 the UNL Explorer allows users to search for information described in whatever language using their native languages, or to provide or edit information using their native languages. 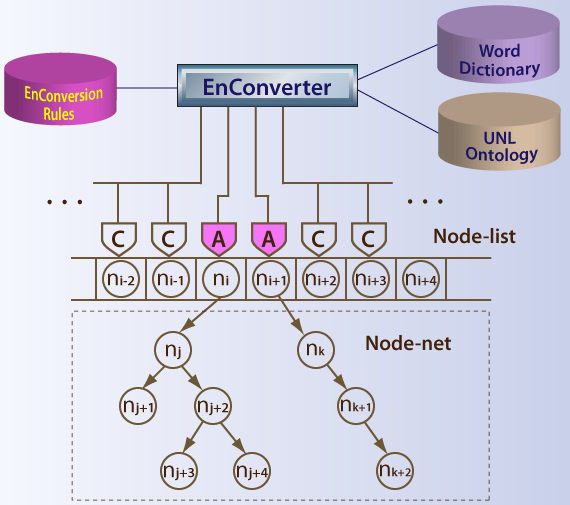 A graphical editor of UNL Expressions works together with the UNL Explorer. Copyright © 2010 UNDL Foundation. All Rights Reserved .